Video surveillance, also known as CCTV is the utilization of video cameras to broadcast a signal to a specific place, on a controlled set of monitors. Video surveillance system monitors activity in an area or building using a television system in which signals are transmitted from a television camera to the receivers by cables or telephone links forming a closed circuit. This system is capable of capturing images and videos that can be compressed, stored or sent over communication networks. 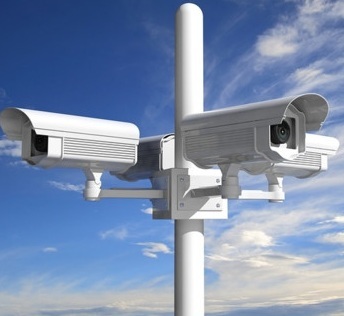 Digital video surveillance systems can be used for nearly any environment. Now there are high resolution cameras which can easily capture the things due to its better qualities. Increasing use of video analytics such as facial recognition, behavior analysis, and event prediction etc tends to expand the market. Video surveillance systems monitor activity in public areas and commercial buildings for real-time monitoring or later review. It is a combination of hardware and software component and is used to capture and analyze the video. The urge of video surveillance market arose from increased number of crime rates, growing smart phone applications and compatibility with existing networks. However, growth of video surveillance market can be hampered by lack of domain knowledge of video surveillance among consumers. The global video surveillance market was valued at approx USD 31.37 Billion in 2016 and is anticipated to reach approx USD 76.84 Billion by 2024, at a CAGR of 15.04% over the forecast period. On the basis of solutions, hardware segment dominated the video surveillance market by 40% market share in 2016. Hardware segment dominated the video surveillance market because hardware includes the major part like camera, monitors and storage solutions. Geographically, North America is the largest region in global video surveillance market with 40% market share in 2016. U.S. holds the largest number of share in the North American region due to vast adoption of analog surveillance system in North America. Asia pacific is also a leading region in global video surveillance market. Increasing number of crime rates in Asia Pacific have led to the adoption of several advanced technologies and securities to protect economy and infrastructure of the societies from criminal activities. However, the video surveillance market is expected to rise rapidly in coming 4–5 years. With the increasing number of crime rates, augmenting security concern in the entire region, technological advancement, also the shift from analog system to IP camera in upcoming 4 to 5 years, factors such as IoT opportunity and growing urban populations are propelling the growth of video surveillance market and are thus working as growth drivers for global video surveillance market. There are also some of the factors that restrict the growth areas and are curtailing the growth of video surveillance market such as: lack of technological awareness among consumers, High initial cost etc. Sometimes a lack of security programs can also hamper the growth of market.